Hi, many thanks to Juan Carlos for invitation to this blog. I am an italian astroimager that capture his images from a urban site near Milan, a site with a high light pollution. 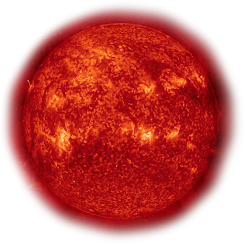 So, many of my images are captured trough narrowband filters, H-alpha, SII and OIII. Today I would show you two of my images, captured some years ago with this method. 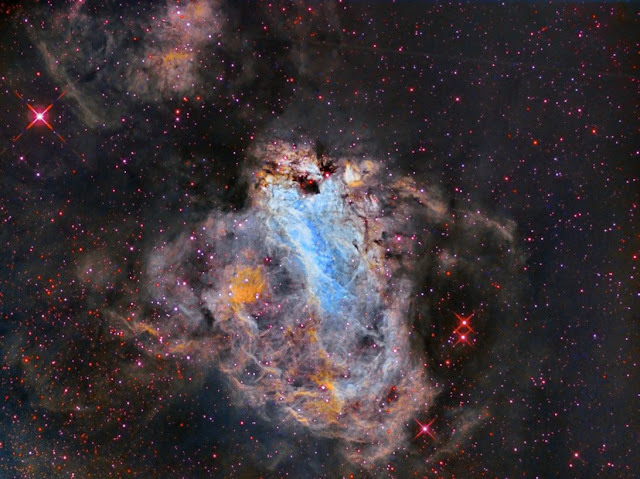 The first is M17 Omega or Swan Nebula in Sagittarius, a classic narrowband image Ha-S2HaO3, 180' exposition for channel. 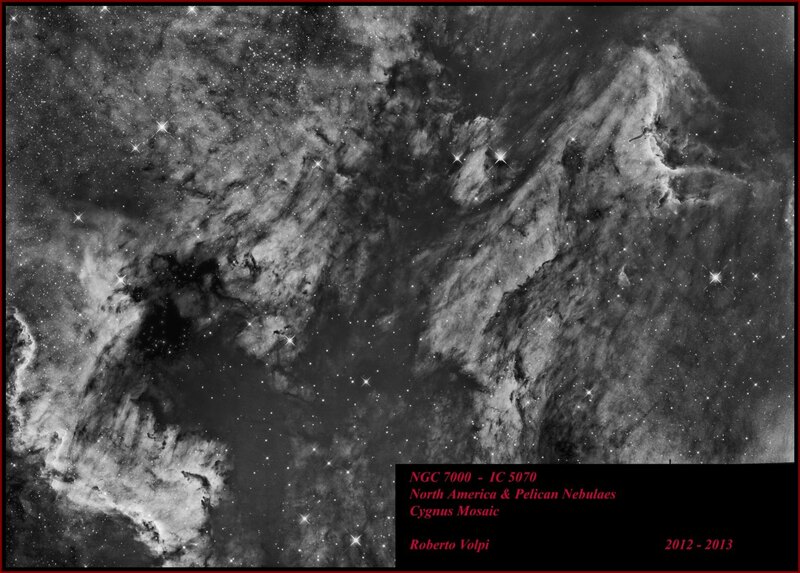 The second is a 15 panels mosaic in Cygnus constellation that showing The North America and Pelican Nebulaes, only H-alpha from 2 to 3 hours for panel. Both images captured with 115/800 apochromatic refractor and Sbig ST2000XM camera. Thank you for accepting to come and share with us and the world your work in astrophotography, congratulations on your first entry Roberto!